Having all your app performance data in a single place is a necessity when making data-driven decisions. This is why we’re constantly working to connect with more data sources that our members use for tracking downloads, revenue and in-app usage. 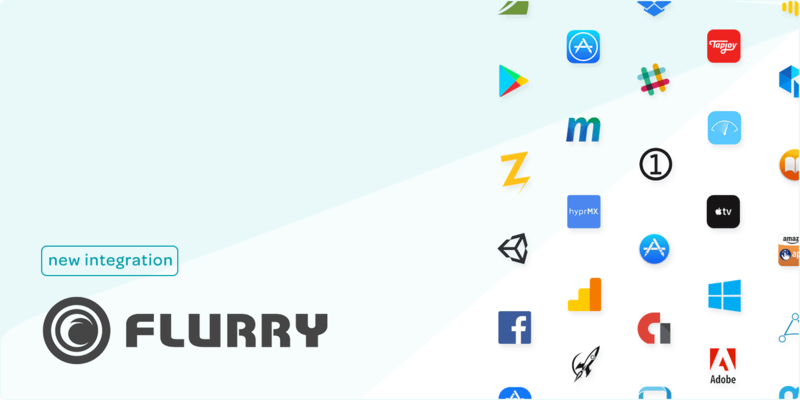 Today we’re expanding coverage for in-app usage tracking with support for Flurry Analytics, one of the top 5 most installed analytics SDKs in iOS and Android apps. When you connect your Flurry Analytics account, we’ll automatically sync usage data, including: active devices, sessions, and more for all your apps. The new data will be available in the Usage reporting suite, so you can break it down by date, country, and app. In addition, usage will also be available as a secondary metric in your sales and ads reports, so you can quickly connect the dots and make comparisons across different data sets like revenue and active users. This integration is available to all members across all plans. Link your Flurry Analytics account by going into Account settings > Linked accounts. With more than 50 integrations, we make it easy to keep track of all your apps from a single dashboard. However, if there’s a data source you use and we don’t support yet we’d love to know about it. Hi, is information from Flurry available through API call…? Not yet, but we are planning to make a new route for usage reports available in the near future.